All Post-Graduate students of the Department of Prosthodontics and Implantology, Manav Rachna Dental College along with their faculty Dr. Anish Goyal attended a scientific program on 16th February 2017 in Maulana Azad Institute of Dental Science, Delhi which showcased presentations on current concepts of occlusion and role of occlusion in Temporomandibular disorders. 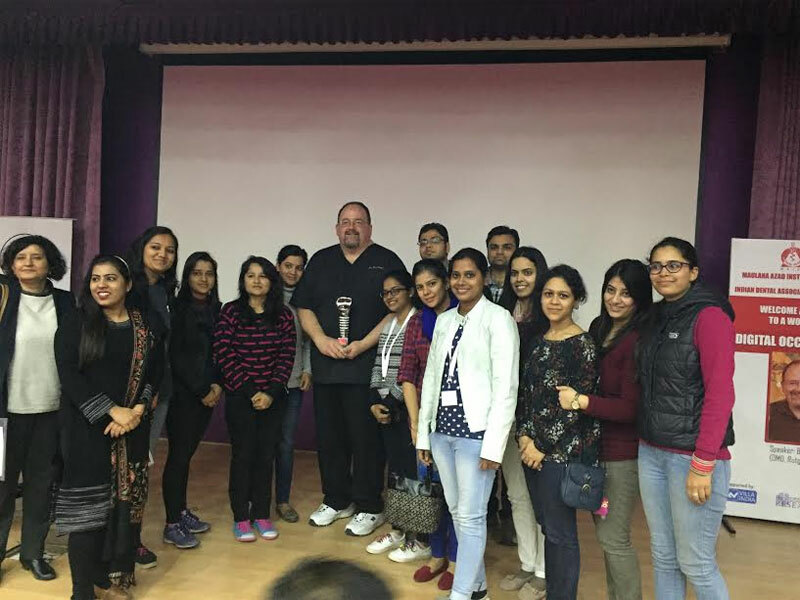 Key speaker Dr. Ben A. Sutter (DMD, Rutgers, USA) personally interacted and broadened the horizon of post-graduate students in the field of digital occlusal analysis system. With the series of case presentation and live demonstration he taught how T-Scan with its state of the art, digital software helps clinician to identify premature contacts, high forces and interrelationship of occlusal surfaces which couldn’t be seen before using traditional occlusal indicator methods. Through lectures, videos, case presentations and live demonstrations students learned technology driven protocol for analyzing and treating Temporomandibular disorders (TMD). Presentation on current concepts of occlusion and role of occlusion in TMD. Occlusal analysis using Digital system: T-Scan. Case presentations and live demonstration on digital occlusal analysis sytem.